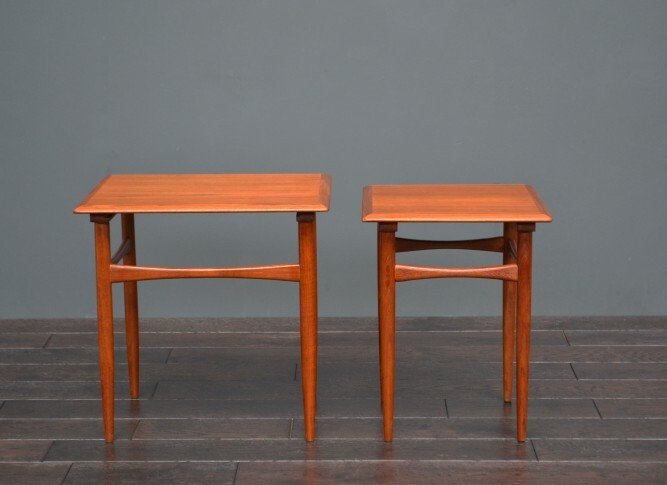 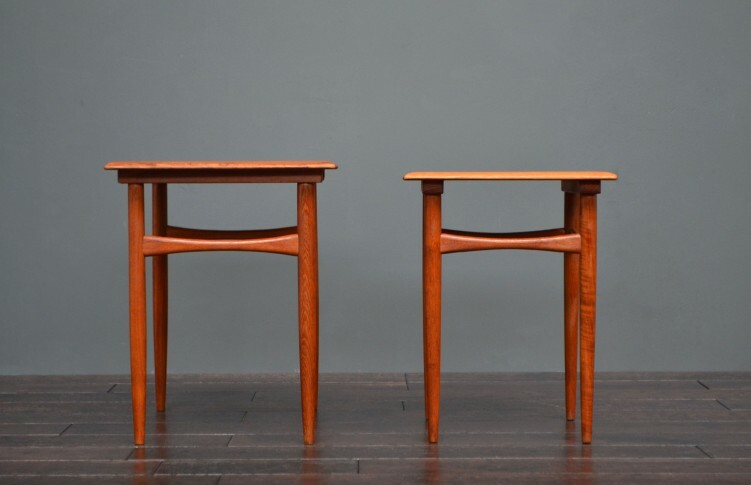 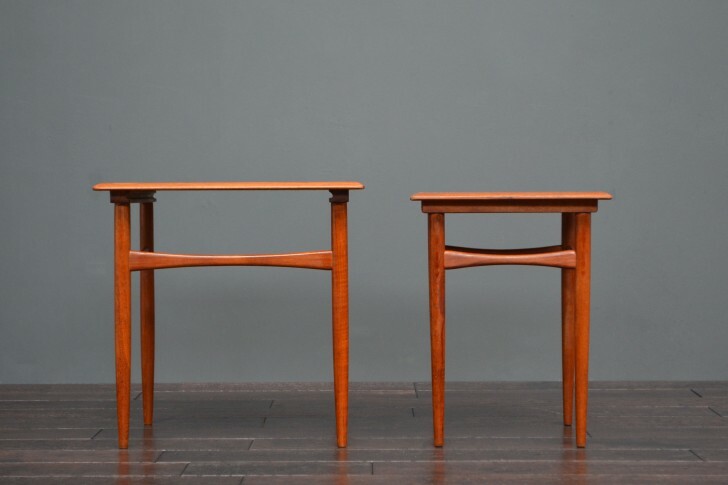 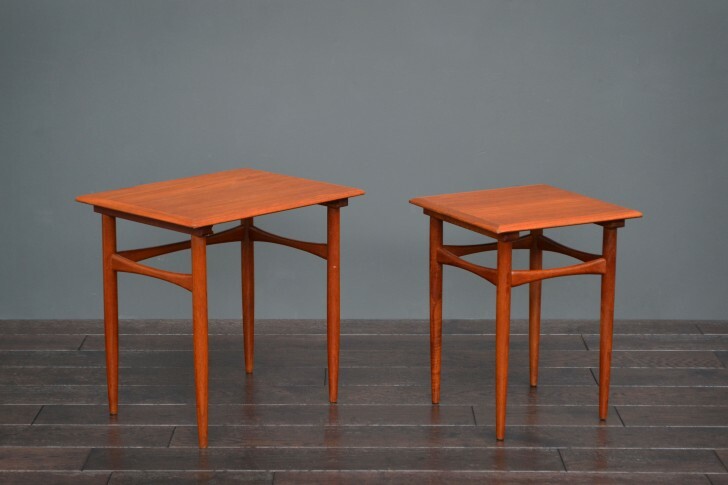 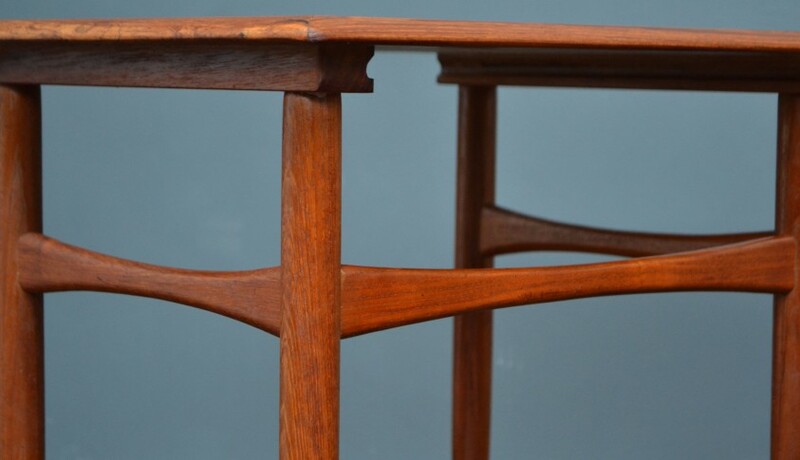 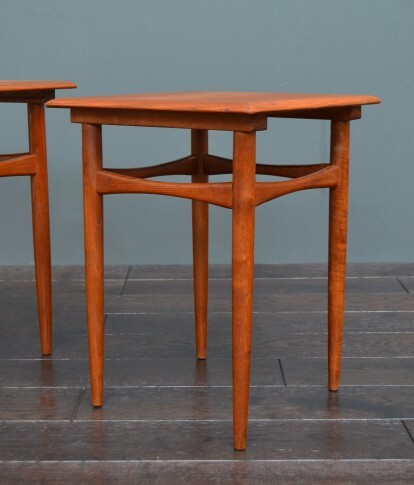 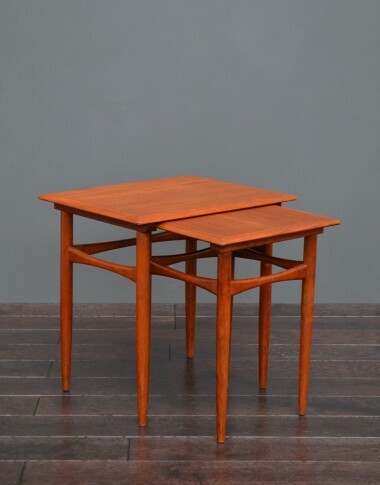 Set of two teak Kai Kristiansen Danish nest of tables with a beautiful grain and of Scandinavian design. 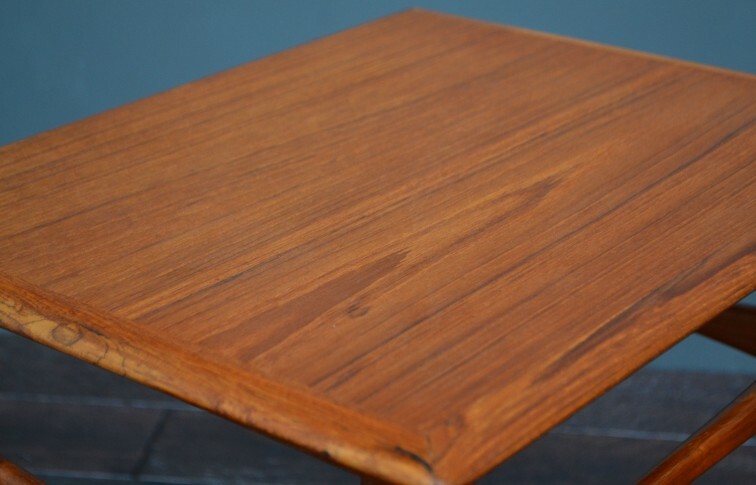 Both table top surfaces have been sanded and refinished with carefully selected oil to bring out the natural teak colour and grain. 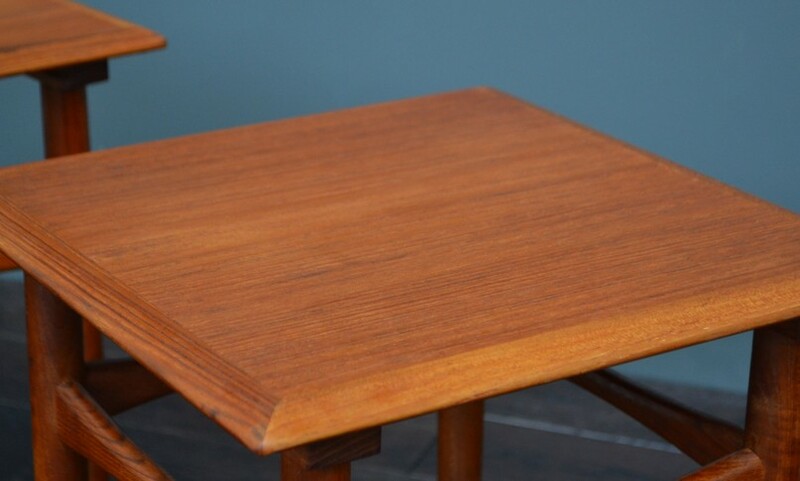 We offer free delivery to customers within 15 miles of Plymouth. 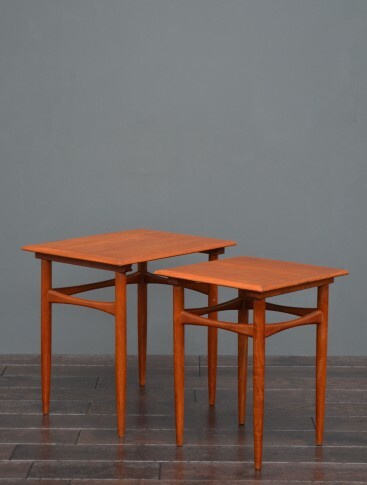 Nationwide delivery can be selected and calculated on your shopping cart page.